Maybe It Really Is Rocket Science. Over the years I have written and spoken a lot about crisis preparedness and response. One point I often stress is that the best way to manage a crisis is not to have one in the first place, and this is why doing a regular vulnerabilities assessment – the key component of issues management — is such an important companion to crisis preparedness and response. Such an assessment usually entails a structured process that identifies internal and external problems that, if left unattended, could explode into a crisis – maybe not tomorrow, but perhaps next month or next year. The whole point of issues management is to know what could happen and take preemptive action to avoid having to launch the sixty-minute response I wrote about in a previous post http://bit.ly/14YlC2j. The rudiments of issues management are simple enough. Start with identification. What kinds of unpleasant things might happen to your company? Answers can range from operational issues (accidents, product defects, denial of service attacks and the like) to longer-term issues (legislative or regulatory initiatives, labor relations or HR issues) — actually, a perusal of a week’s worth of The Wall Street Journal will yield plenty of instances of acts of God and the vagaries of man to inspire and possibly depress you. Next, prioritization. What is the likelihood that a given issue will grow in severity and what would be the impact on your company if it did? An asteroid colliding with Earth would ruin pretty much everybody’s day but I wouldn’t spend a minute thinking about how I might prevent that from happening. But I wonder if executives at the anachronistically named “record” companies might have changed course ten years ago if they had stopped to ponder the unthinkable (to them) revolution in music consumption and gotten ahead of it early. The last step – monitoring and influencing – is putting the issues management process into motion. By following current developments for a particular issue, you can plan and implement steps to alter its course or inoculate your company from it. An issues management assessment can be very sophisticated (and very expensive) or it can be sketched out on an envelope. What’s important is that you take the time to blue-sky the issues that could realistically become big problems in the future and consider how you might forestall that outcome. 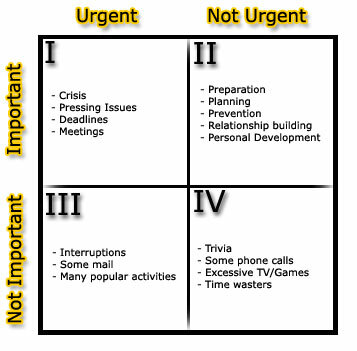 Notice the first three things in the “Important/Not urgent” quadrant: preparation, planning and prevention – the definition of issues management. Stuff in Quadrant Two is frequently put off — often indefinitely — while we deal with Quadrants One, Three and Four. And be mindful of the words of Ed Murphy, that handsome fellow at the top of this screen. Ed was an aerospace engineer. He passed away in 1990, but his most notable contribution to the world remains as fresh and relevant as ever. After graduating from West Point, Ed served in the Army Air Corps during WWII. 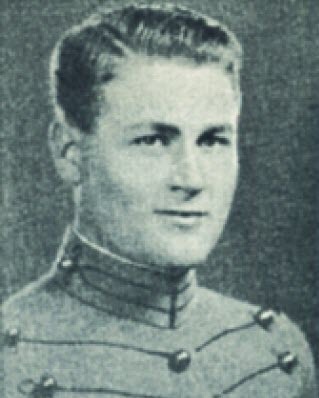 When the war ended, he enrolled in the Air Force Institute of Technology, and in due course actually became the popular epitome of a smarty pants: a rocket scientist. Ed’s assignment at Wright-Patterson Air Force Base was to design and perfect safety and life support systems for NASA – it’s no exaggeration to say that lives depended on his work. And he took that work very seriously indeed. In fact, so much so that he approached each new system, designed by engineers who assumed the system would work, with the assumption that it would fail. His job was to figure out why and how to prevent that failure. In a way, it was his version of issues management. It was in this work that he coined an adage so commonplace today that we forget it was actually uttered by a real, live person. Post Script: Murphy’s Law spawned dozens of silly copycat “laws” (Paul’s Law: You can’t fall off the floor; and Cole’s Law: thinly sliced cabbage) and they really irked Ed Murphy. He actually tried to launch an initiative to make the world treat Murphy’s Law with the gravity he felt it deserved, but ultimately he failed. No surprise: It was just another case of Murphy’s Law. Debate Punctuation on Facebook? You’d Be an Asterisk It. Hey Brother, Can You Paradigm? “The battery that burst into flames on a Boeing 787 in Boston experienced dramatic power fluctuations and other failures its designers had considered practically impossible, a new report said.” Paging Major Murphy!